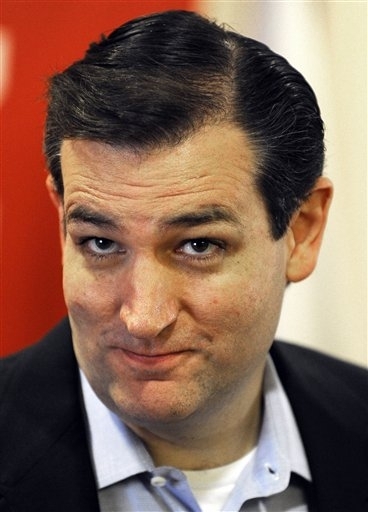 Looking at #TedCruz makes me sick. I changed the channel to a movie. The Health Care Reform Act was passed by Congress and affirmed by the Supreme Court. It is the law of the land. Is Ted Cruz STUPID? To change a law takes the legal, Constitutional process which was established since the birth of the nation. The process is NOT: totally SHUTTING DOWN OUR COUNTRY AND ECONOMY!! CNN reports that Cruz says he may not however block a House vote on the deal. Such hatred and disruption by Cruz and the Tea Baggers is as un-American as terrorism against the state. Thank God that I am not the president because I know that I would start rounding up all of these enemies of the state, and throwing them in jail. For one thing, the Health Care Reform Act is a duly passed law of the country. Shutting down the country and the economy was not what the Founding Fathers envisioned as the Constitutional method of changing laws.